Anyway, I love bloopers. 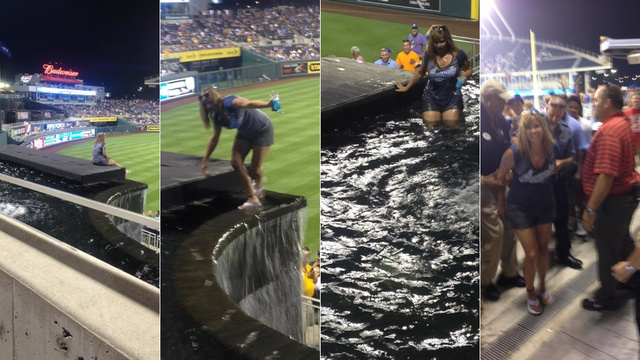 So here are a list of weird, funny or out and out strange things that have happened at the ballpark. Not great audio, but you get the point. Seitzer tried pulling a “Lenny Randle” and failed. But he tried and trying is half the battle, or something. Welcome to Cliche Island. Seitzer was at least creative in his attempt to get the ball to go foul. If only he was that creative while working with Eric Hosmer’s swing in 2012…actually, he might have the better gig now in Toronto. Look, managing a baseball team is hard work. You have to keep track of 25 guys. You then have to remember their names. All of them. You have to pay attention for an entire game. You must make sure someone knows to refill the jug of water. Most of all, you must completely go crazy arguing a call on the field and do it in a creative way. -OR…you can just walk off with a base. Like former Pirates manager & current Mariners manager Lloyd McClendon. Personally, I like the quiet and methodical plan. It does go to show you that yes, you can steal first base. This isn’t a blooper as much as a major meltdown. Look, I hate AT&T’s service as much as anyone, and god forbid you ever have to actually call them, but defiling the bullpen phone might not have been the answer to his problems. Few things to learn from this. One, Ortiz really believes he knows the strike zone. Like, REALLY. Two, do not sit near him when he loses his mind, or you might end up with part of a phone in your eye(Dustin Pedroia is VERY lucky). And third, I now see that he not only acts like Tony Montana, but sounds like him as well. This is a classic. To be fair here to Jose, he wasn’t exactly known for his defense. Also, his career was on the downside at this point anyway. Plus, Cleveland’s old stadium sucked. It was so bad they filmed the movie “Major League” in Milwaukee and acted like it was Cleveland. We knew better. This is what Jose Canseco will forever be known for. Or for steroids. Or for trying MMA. Probably not that last one. God, Jose. I’m trying to remember a time where you weren’t a joke. Just admit it was Ozzie doing all these things and all is good. The funny thing is, I remember a play close to this happening when I was in Little League. For the sake of me deciding to be a nice guy, a kid on the other team(who I won’t name) couldn’t figure out which way to run. His entire team was yelling at him to go the other way. Instead, he continued to try and take a detour. But this was in Little League. Rivera did this in a major league game. 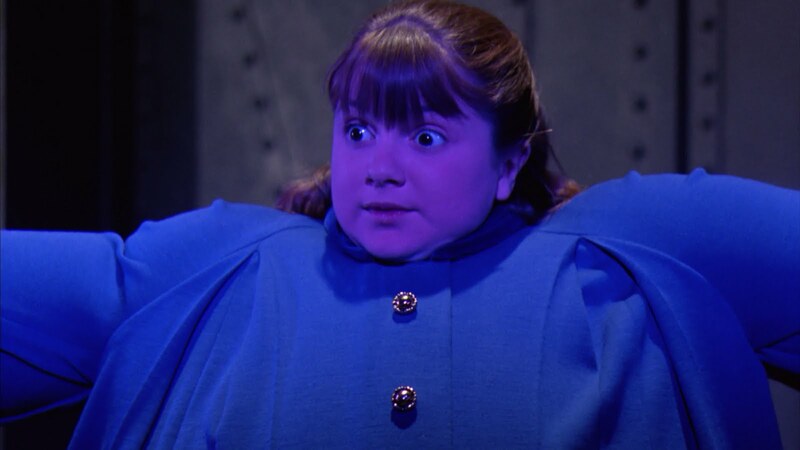 The bad part is, Jean Segura did something like this just this past season. Just want to reiterate here, these are major leaguers. Who don’t know how to run the bases. Yikes. By the way, cool beekeeper outfit. I should add that to my wish list for Christmas. Just a month away, folks! I typed that into YouTube. This is what popped up. I agree, YouTube! Maybe the greatest baseball brawl of all time is this classic between the Braves and Padres back in 1984. I’m thinking there was more fighting than baseball being played in Atlanta that night. There is a reason that this article was named after Ken Harvey. 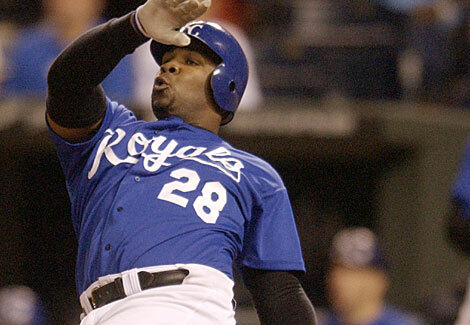 The former Kansas City Royals first baseman really felt like the human blooper. Like this. 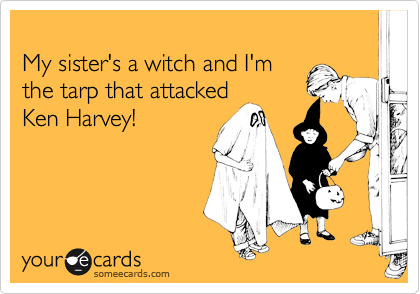 Harvey also once got tangle up in the tarp at Kauffman Stadium. There isn’t video of this, so here is an awesome picture. Harvey also once(or twice) got hit in the back with a relay throw. Once again, no footage, but it really made you wonder why that guy kept getting to play in the field. So thank you, Ken Harvey. We miss the utter lunacy of having you on the Royals. No list of odd and strange is complete without something from Hunter Pence. Enjoy. Dude. I was at the Ken Harvey hit-in-the-back game at Petco Park in San Diego. It’s the 4th of July, and I take the train down from my home in LA to see my hometown Royals. Great stadium, friendly fans. So, the Padres are throwing a no-hitter and I start thinking, “Well I wouldn’t want this sellout crowd to go home disappointed so my terrible team can win one game.” THEN the Royals break it up in maybe the 7th inning and tie it with 4 runs. Then, I think KC actually took the lead and I’m back on board. The Padres get some guys on base the next inning, then a base hit to right field. One run scores to tie, the other’s rounding third and here comes the throw and IT HITS KEN HARVEY IN THE BACK!!! The Padres score the go-ahead run. I couldn’t believe it. I think even Harvey was laughing. So, he wasn’t just hit in the back, it was the game winning run after the Royals fought back from being no-hit. It was classic 90’s/00’s Royals baseball. There were fireworks after the game. They were terrific. Harvey and his “play” is the perfect description of that time for the Royals. Hard to imagine he is a former All-Star.